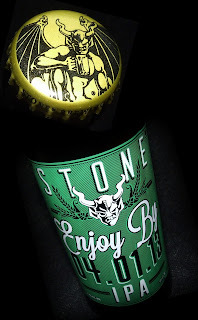 The much anticipated release of Stone Brewing's next installment of their "Enjoy by' series had me pretty excited about trying the 04/01/13 version. So, when my beer guy texted me that he was holding a couple bottles for me, well, I ran right over there and snatched up a couple bottles. What's all the hubbub about? Stone created this series of beer to be consumed as fresh as possible. Ideally, when you drink an Enjoy By beer you will experience maximum hoppiness and peak flavor. Dagnammit! I really want to love this beer. I really, really did. But I didn't. In fact, I can't say that I liked it much at all. 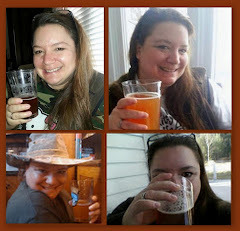 I am a big-time, all-around IPA lovin' gal. I love the big hoppy bite and puckering bitterness. But Enjoy By is off in an awful way that I could barely choke down. The aroma was a clear indication of what was to come. There was a decidedly unpleasant smell mixed in with all the other wonderful hoppiness. The flavor? Very much the same. If it wasn't for my philosophy of wasting beer being equal to alcohol abuse I might have dumped it down the drain. 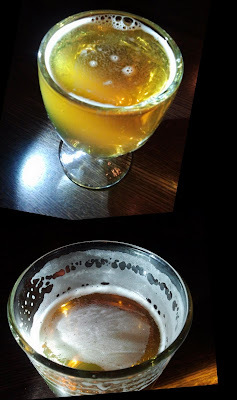 After sharing the two bottles with hubby and not Enjoying the experience, I decided that I wanted to give this much adulated beer another shake. 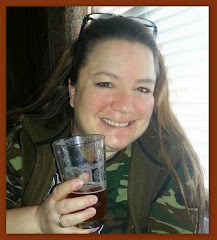 So, hubby and I went to Plan B in Milford who was tapping a keg of Enjoy By 04/01/13 at 5 PM today (03/05/13). 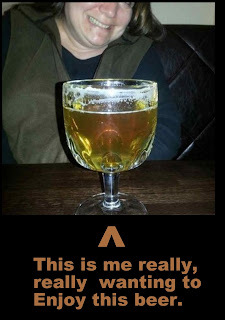 I waited expectantly for the beer to arrive at our table praying, "please let me like this, please let me like this". Yeah, I actually did. The glass was placed before me and I thought, "Boy, I hope this is good." Enoy By is very pretty in the glass. It is a bright clear orange with a fluffy white head that diminishes to a wisp of bubbles that leaves behind considerable lacing. I gave it a sniff. Ugh. There it was - that smell; however, somewhat more subdued than it was than when I poured it from the bottle. It's a dank, musty odor. It almost reminds me of rotten moldy nuts. The taste is crisp, bitter and hoppy. But the dank, mustiness in the aroma carries through to the palate and clings to the back of the throat in a way that is smelled as much as tasted. Like I said before, yucky. 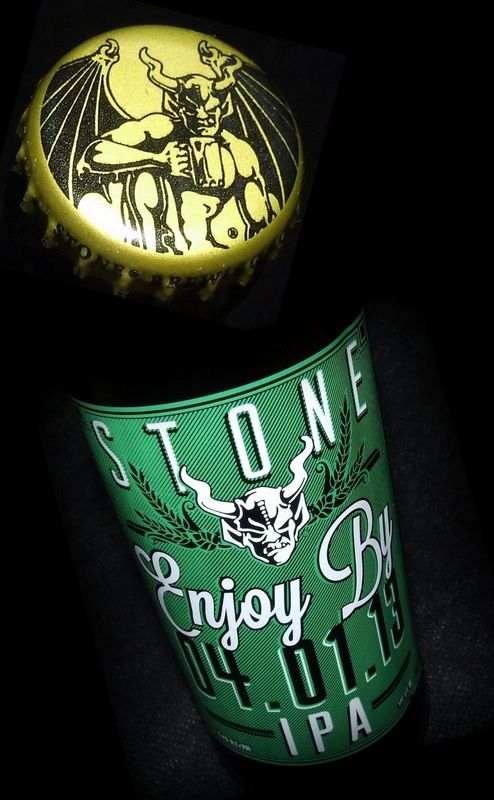 I can't imagine that this is what Stone was going for, but it is what it is. 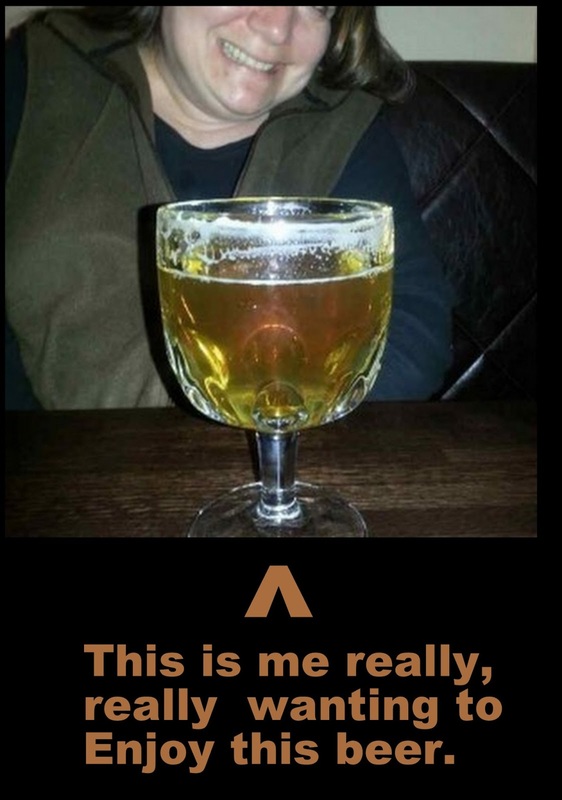 Lot's of people love this beer. I don't and I'm disappointed. Well, I guess I can't like every beer that rolls down the 'pike. Even one that is super heavily promoted and released with such high expectations. kerosene or turpentine. No, diesel fuel. For what it's worth, even though IPA's are my least favorite beer, I didn't think the 2 bottles we had were that bad. Not my thing, but drinkable. The stuff from the keg though..... yuk! Like I said at dinner though, everyone has different tastes. If we didn't, beer would be quite boring! I will look forward to the next new offering from Stone. 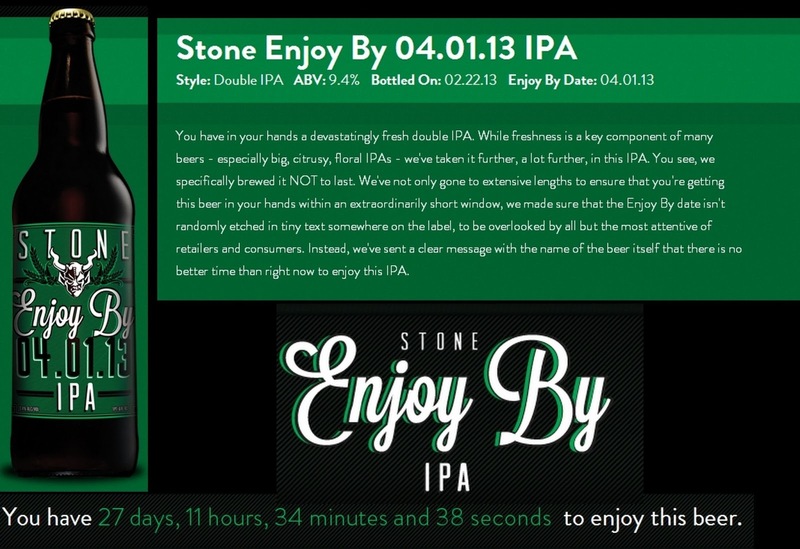 I look forward to other beers from Stone, as well. I'm not turned off from the brewery, just this particular brew. I have to be honest, I am sorry you had that experience. I was delighted at the balance of this DIPA, the citrus, fruity & pine notes and overall drinkability for a beer over 9% abv. I have been disappointed in ALOT of beers in terms of what I had expected versus what I experienced (much the same as you did in this case). 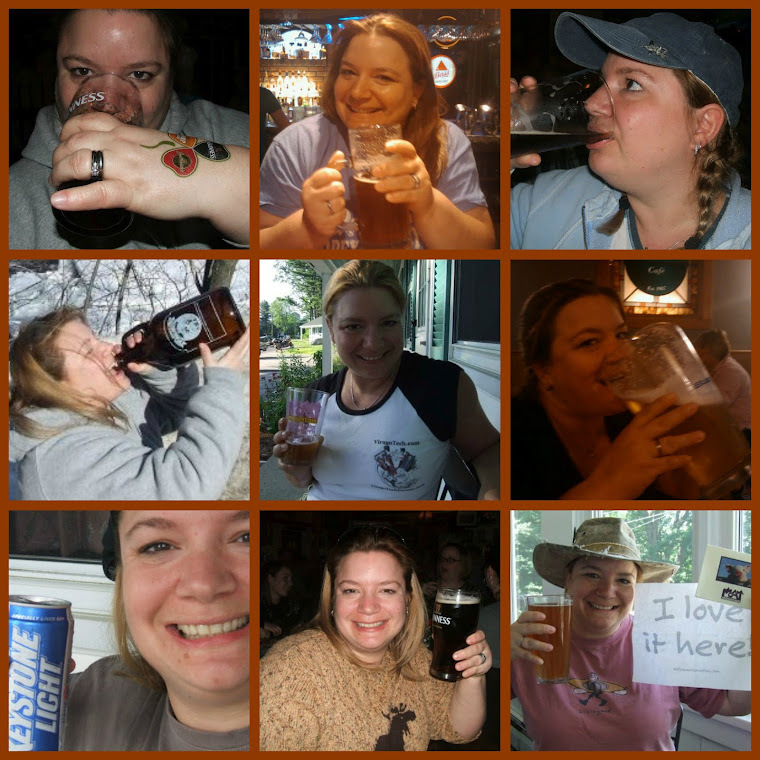 But, the great thing is beer is an experience and an adventure. It's interesting that you like this. I recall that we had completely dissimilar experiences with Dogfish Head Ta Henket, me liking it and you not so much. 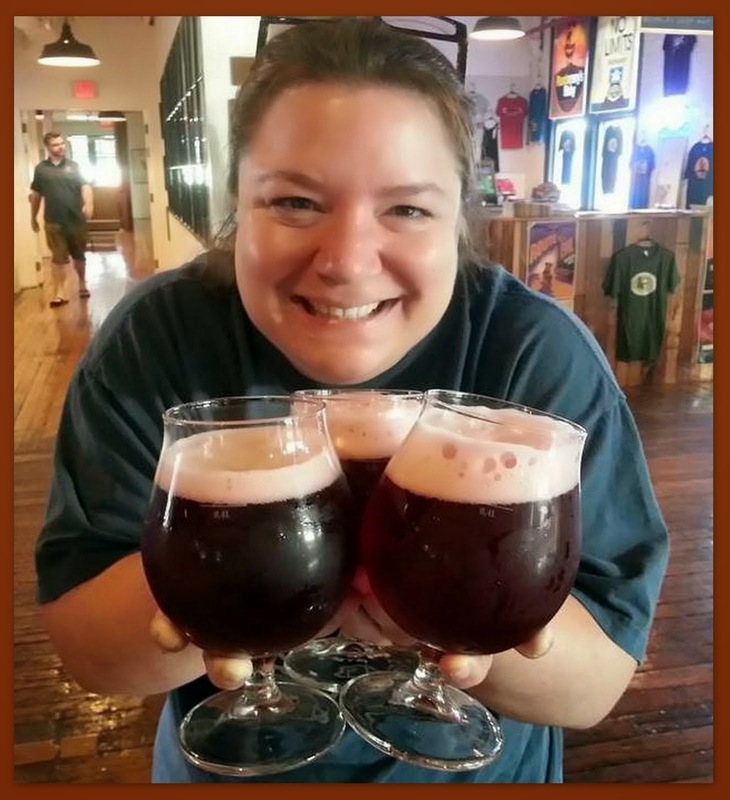 Thats the fun in beer- different palates, and different interpretations.